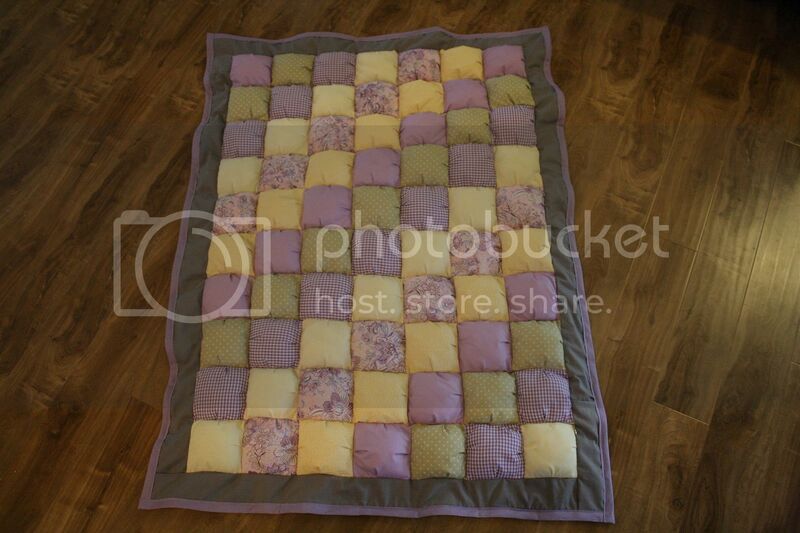 I made a puff (biscuit) quilt for my future niece and fell in love with the fluffy project. I did a little research on what I needed to create this quilt and how big I wanted it to be but I never found a tutorial that helped...so I kind of winged it, and thankfully I was happy with the results. Print or download tutorial here. Enough fabric in assorted colors for 70 - 6 x 6 squares. 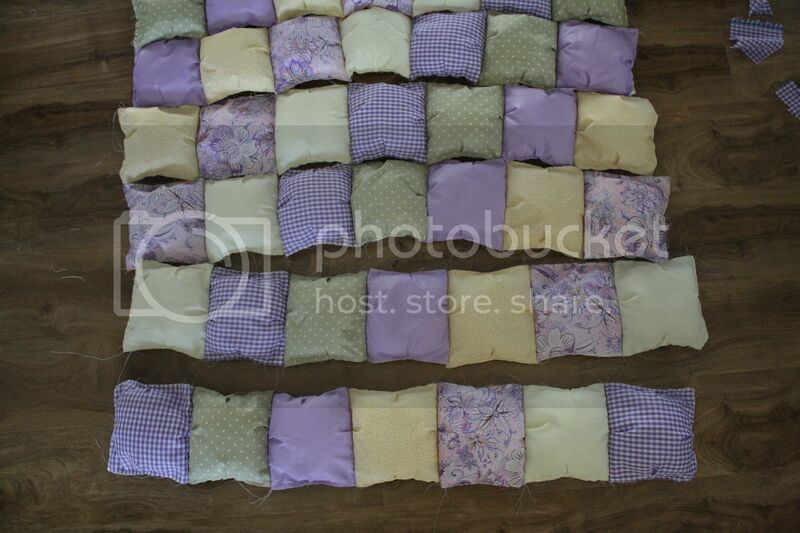 I bought a 1/2 yard of each fabric and made 12 6 x 6 squares out of each color and had some scraps left over. So essentially you need 2 1/2 to 3 yards of assorted fabric. Enough fabric for 70 - 5 1/2 x 5 1/2 squares. 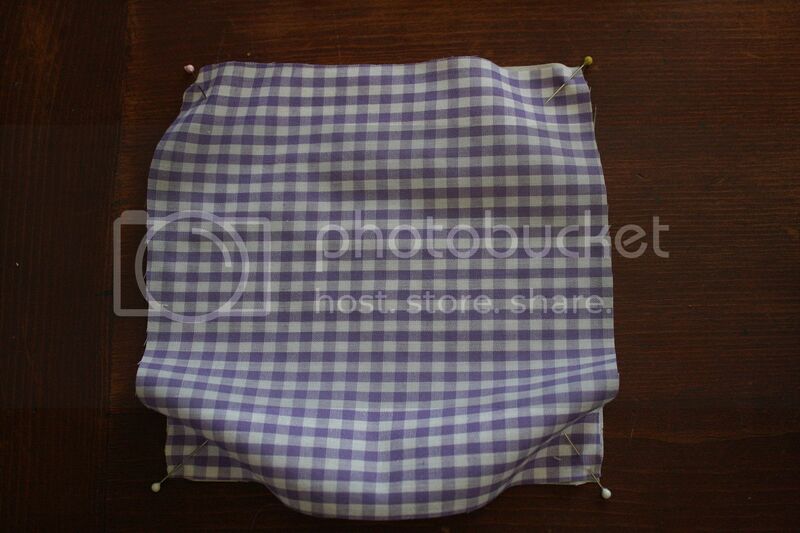 This fabric will not be seen so you can use anything you have on hand or a simple muslin. Take one of each square, with the wrong sides touching, pin together all four corners. Pin three of the sides in the middle, creating a tiny pleat. 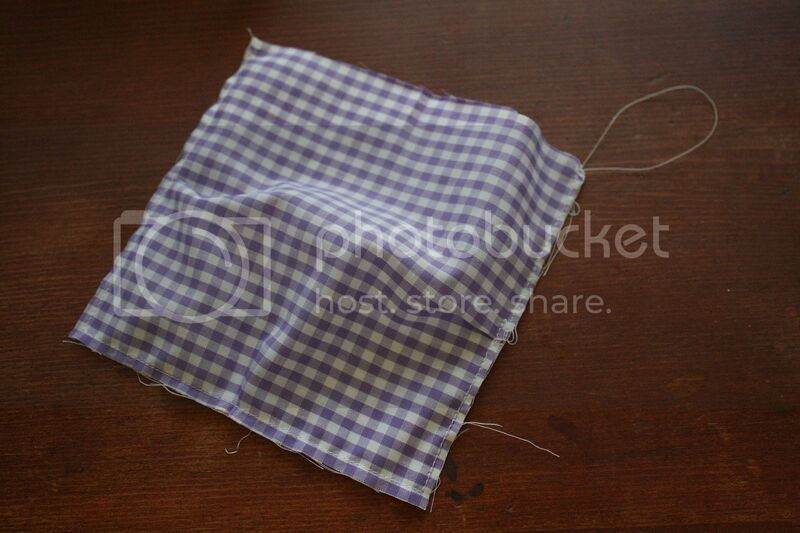 Sew the three sides together, making sure to leave one side open for stuffing. Stuff square with fiber fill and sew final edge closed. Continue this process with the remaining squares. Layout the squares on the floor in the pattern that you want for the front of your quilt. I built mine 7 squares wide by 10 squares long. 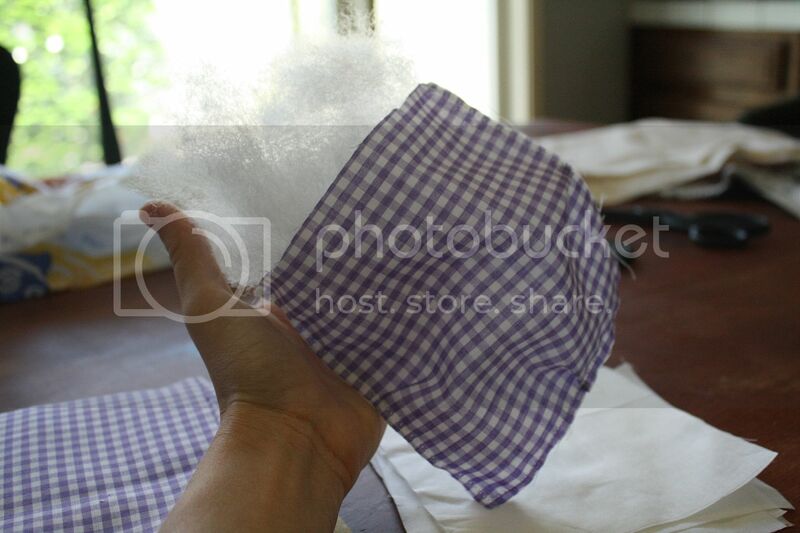 Begin sewing the puffs, right side together, with a 1/4 inch seam, starting with the top row. Then sew the rows together to finish the top of your quilt. Now here is where you can decide to add a border around your puffy quilt top or just add the backing and bind it all together. 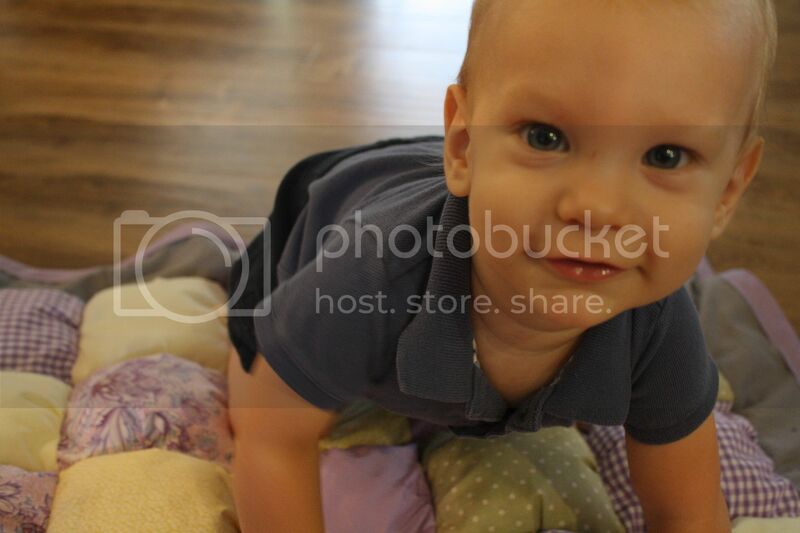 I decided to add a border. 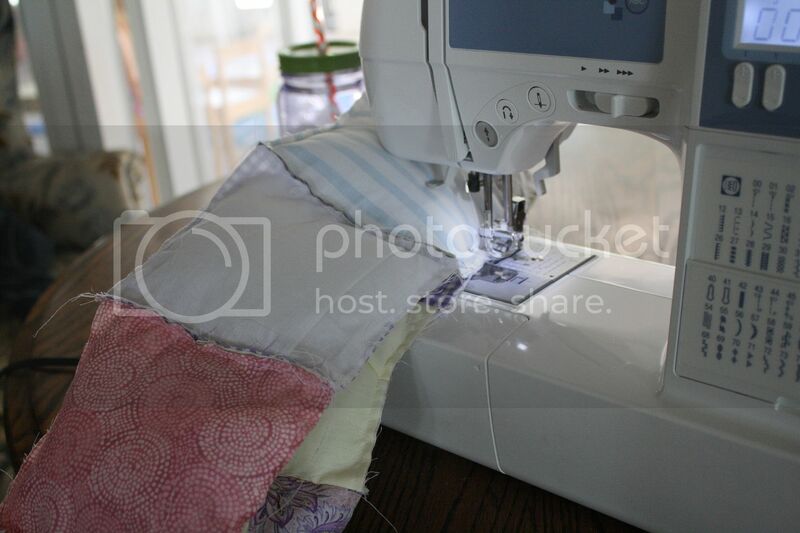 So using your border fabric create four strips that will wrap around your quilt top. Make sure that you measure a couple extra inches on each piece because the puffiness of the quilt will cause the strips to shrink a little and you would rather cut off the access then have a seam in your border. (Unfortunately I know from experience. I had a seam...boo.) With the right sides together sew your border. Now you can assemble the quilt backing, batting and quilt top together. I just tacked the three pieces together using embroidery thread but you could easily use a straight stitch to create some texture to the back of your quilt. 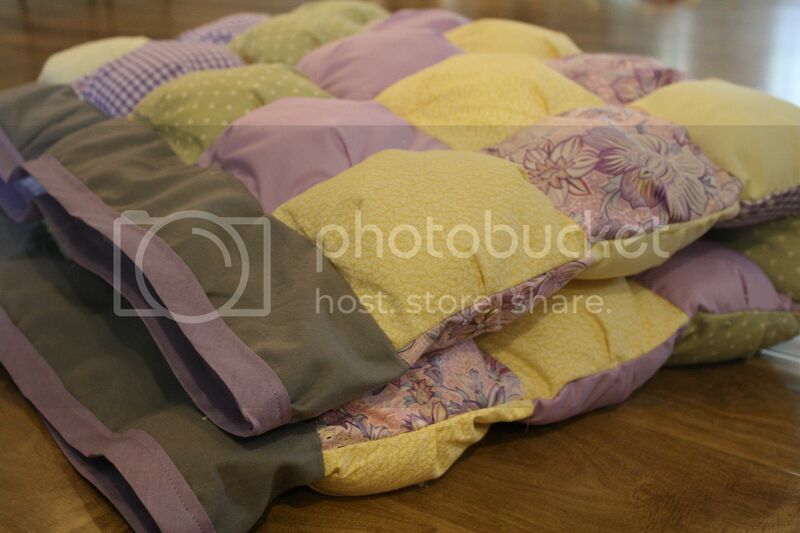 Bind the quilt using hand made or store bought quilt binding in a color to match the quilt and you are finished. Sit back and enjoy all the hard work, or throw your little one on top and let them explore the heavenly blanket of puff. Great tutorial. This is something I have really wanted to try and you have explained it well. I think I will give it a shot! 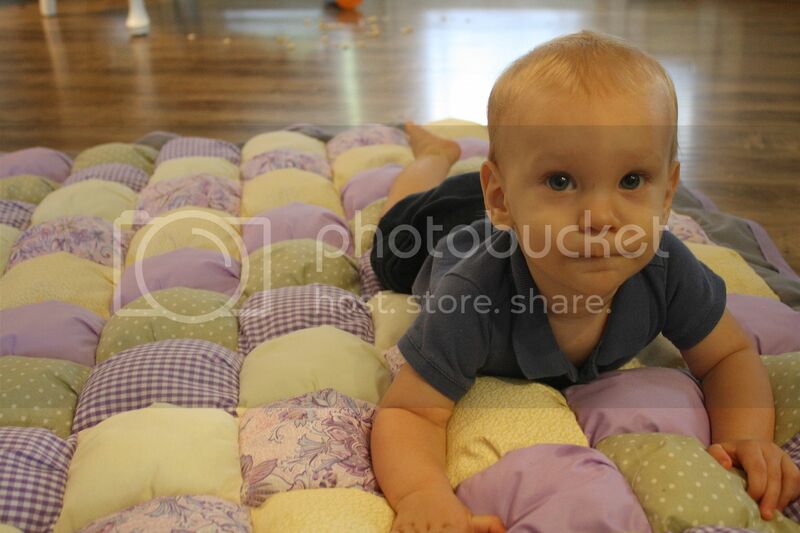 Thank you @disqus_NcGcil6UaC...I had so much fun making this quilt and even better was that it was surprisingly easy. Hope you have as much fun as I did...would LOVE to see a picture of your final product. @asanders0522 How fun! Yeah, this part can be a challenge. 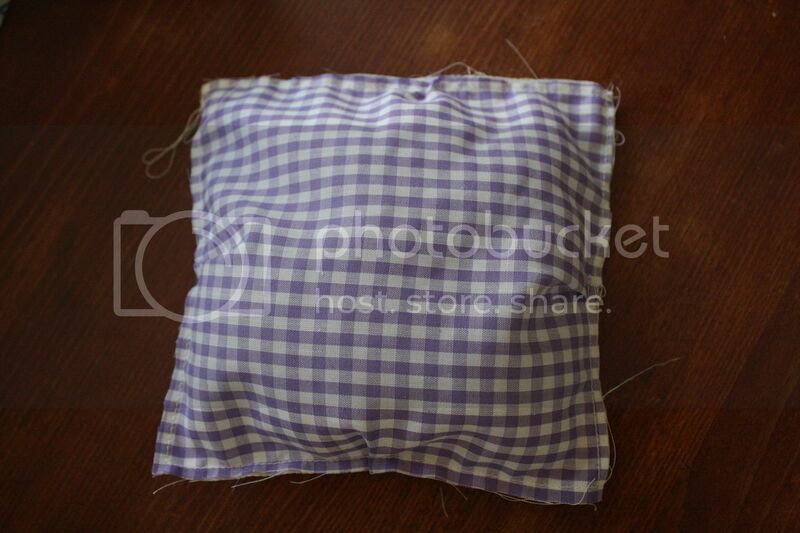 I suggest going really slow, push as much of the stuffing as you can to the opposite side of the square and get as much loose fabric as you can. You could also try placing a pin in the loose fabric once you get your stuffing pushed to one side to keep the stuffing out of the way. 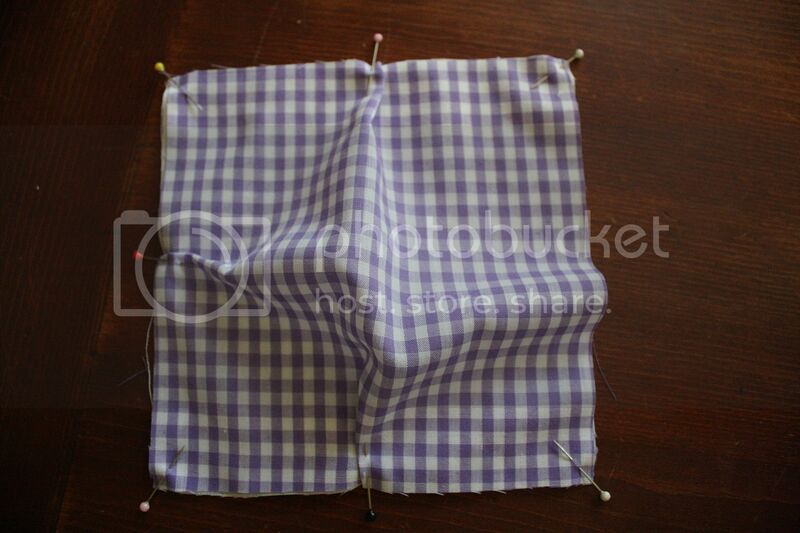 Then just take the pins out when you are done with your seam and reposition the stuffing in the squares. 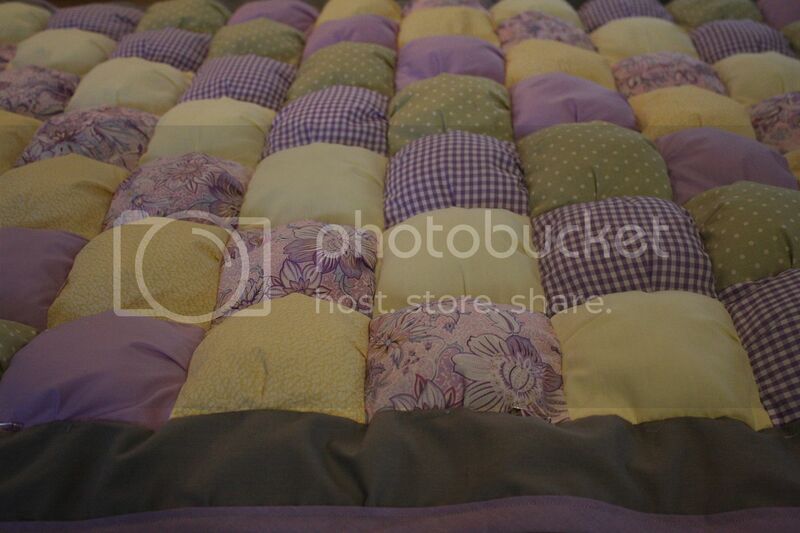 Also, the good news is your seams don't have to be perfectly straight for this kind of quilt because after all of the squares are put together the stuffing does most of the straightening for you and you never actually see the seams at all. Hope that helps a little bit! I would love to see the finished project. Kayrowee, do you have a tutorial for that? 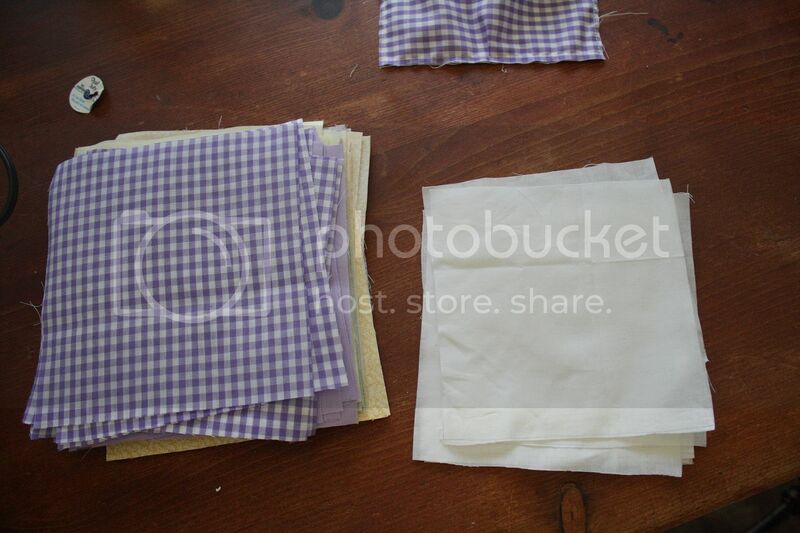 what i did was cut all my squares front and back, did the folds, and sewed each square individually. Then i sewed each row and column as i wanted them to appear. It does take a little extra time but i found it extremly easier and more accurate with lines. after i have made what looks like a double layered quilt i cut a slit in the back of each backing piece. Then i stuff each square and hand sew the back of each. 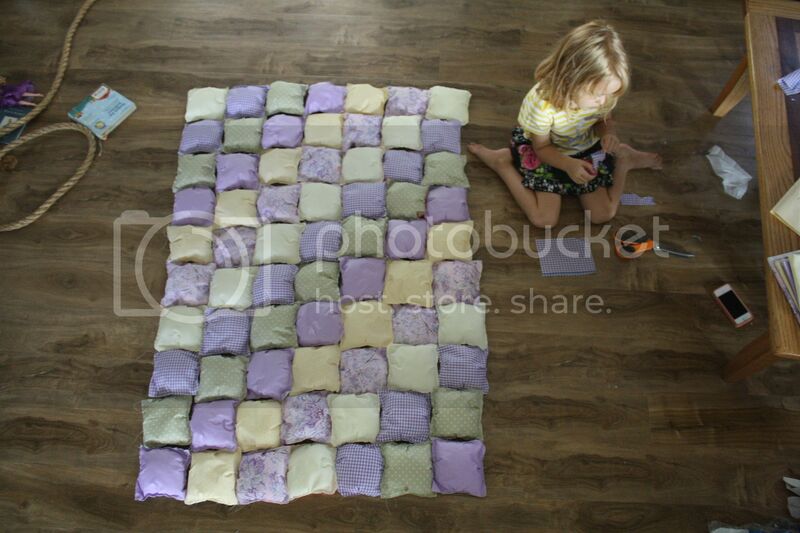 Now im just trying to figure out how to sew a backing on the blanket. Good luck!